El Porvenir use community initiatives to improve the quality of life for rural communities, bringing them hygienic sanitation facilities, clean drinking water and innovative reforestation methods that include creating new water supplies. They also operate an education programme which aims to highlight the importance of hygiene and sanitation. More than 40 KPMG employees have taken up a volunteer placement through AfID since 2009, and KPMG employees continue to be one of their top sources for volunteer accountants. The very latest KPMG employee to go on assignment through AfID is Nick Paphitas, who departed for Nicaragua in September. Nick currently works for KPMG Cyprus in Audit & Assurance but over the next five weeks he will be providing invaluable support to El Porvenir, who work to improve the standard of living for rural Nicaraguans through water, sanitation and health education projects. You can keep up to date on Nick's experience through his blog here. Nick is following in the footsteps of over 40 KPMG employees who have volunteered through AfID. Below are just a few examples of the incredible work they have done. After successfully completing his training contract with KPMG, ACA Stephen Marshall wanted to travel the world and experience ‘something different’. Stephen approached AfID to utilise his newly acquired skills and experience. Stephen chose an assignment in Northern Uganda, an area badly affected by a prolonged rebel war, supporting the grassroot NGO partners of UK charity International refugee Trust (IRT). These include a local development project, Moyo Babies Home and the Redeemer Children’s Home. All three organisations are doing amazing things for their community, but sadly all are unable to access essential professional skills training for their staff. By the end of his placement, Stephen had installed new accounting software and trained accounts staff to use it as they performed their normal day to day tasks. He even returned several months later to see how things were progressing and sort out any teething problems. Stephen said, “Volunteering has given me not only a wonderful experience, but work experience that I could never have been exposed to in the UK at this stage in my career i.e. heavy responsibility where I was the ‘expert’ on all matters. “The assignment in Uganda has genuinely been one of the best experiences of my life. I had travelled extensively but this experience gave me something entirely new.” Read more. Clare trained as a Chartered Accountant with KPMG Dublin and after nearly four years of auditing insurance companies and funds, she decided to volunteer as an accountant with AfID. 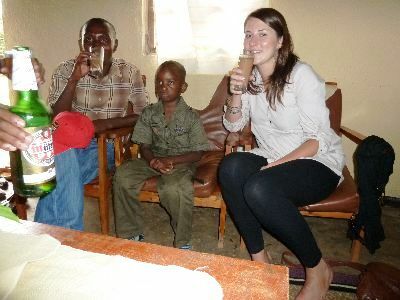 She followed previous AfID volunteers in working with the Moyo Babies Home and Redeemer Childrens Home in Uganda. An accounting highlight of her experiences in Uganda came at the month end which involved counting pigs, cows, goats, maize, millet and groundnuts and checking the stock at two shops owned by the homes where the products on the shelves range from Obama pens to boys shoes and curry powder. 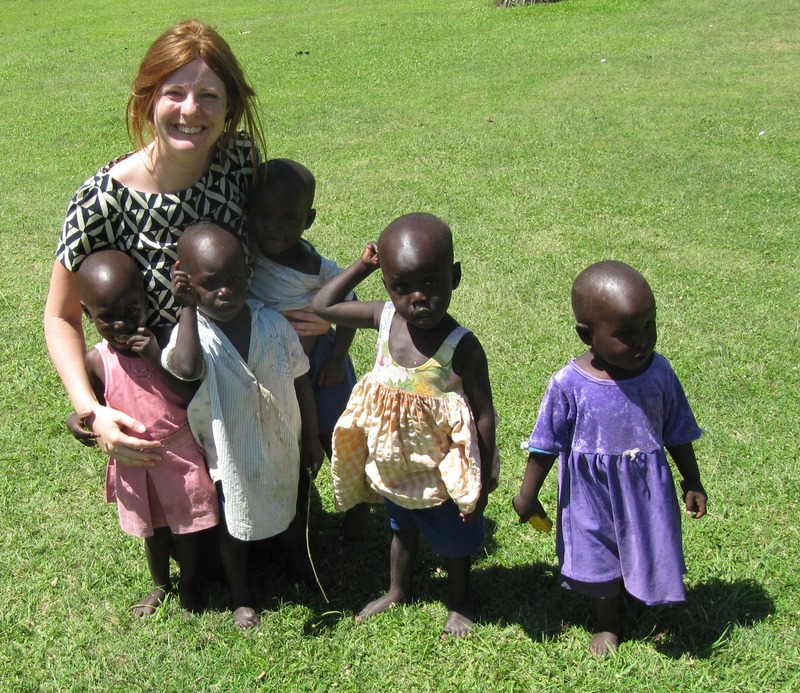 “My time in Uganda taught me so much, both on a professional and personal level. I thoroughly enjoyed my days working there, from being interrupted from preparing accounts by a gaggle of toddlers running around to counting bags of groundnuts for month end stock takes. It was an incredible, unusual experience and I would recommend it to any accountant, newly qualified or otherwise, as a truly worthwhile thing to do.” Read more. Chartered accountant Jennifer Steel was keen to use her sabbatical from KPMG as an opportunity to experience new countries and cultures first hand. She felt it was important to seek fresh challenges and share her accounting skills with a good cause. Jennifer supported a Rwandan charity called Association Dufatanye Inshuti z’Abana (DIZA) who provide education to vulnerable children and orphans. DIZA was in the process of constructing and opening a new school. There was still some building work to be completed and a lot of equipment still to buy; therefore a decision had to be made as to whether it could be opened. To aid that decision, Jennifer needed to prepare budgets to get the school ready for opening and to fully understand the impact of all the running costs. There was a clear focus during Jennifer’s assignment on pricing expenditure and planning income to cover this. She prepared a detailed budget and trained the local accountant in preparing budget to actual comparisons. Jennifer was also able to help them with the design and preparation of a brochure to send to donors. But it wasn’t all work and no play, as Jennifer explains. “Whenever I went outside it took about one minute before I heard a child shout Muzungu! The very little ones smiled at me from a distance and if I walked past them they ran over and hugged my legs. Slightly older children would grim and giggle, and waited till I’ve just walked past before shouting “Good Morning. How are you?” When I replied they dissolved into laughter and shouted it again and again. All very cute and amusing.” Read more. Both AfID and their charity partners are enormously greatful to their 40 KPMG volunteers for their hard work and commitment, and are looking forward to working with many more in the future. KPMG volunteers have not only provided vital support using their financial expertise, but have also used their placements to develop their own skills and personal development. KPMG are continuing to encourage volunteering and aim to provide financial support wherever possible.